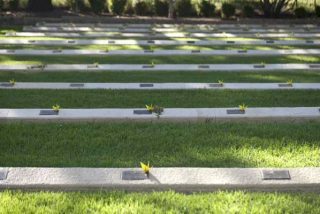 Yellow origami cranes placed by each civilian internee grave at the Japanese War Cemetery in Cowra. The cranes were folded by Hiromi Ashlin of Happy Bird Project with Cowra students. 9 March 2014. Photo by Mayu Kanamori. 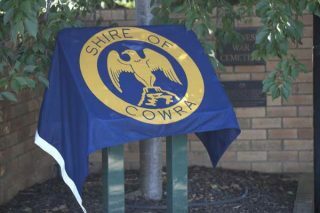 Civilian Internment Interpretive Board to be unveiled at the entrance of the Japanese War Cemetery, Cowra. 9 March 2014. Photo by Mayu Kanamori. 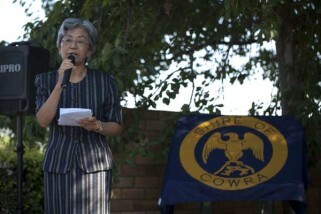 Dr Keiko Tamura at the unveiling of the Civilian Internment Interpretive Board at the entrance of the Japanese War Cemetery, Cowra. 9 March 2014. Photo by Mayu Kanamori. 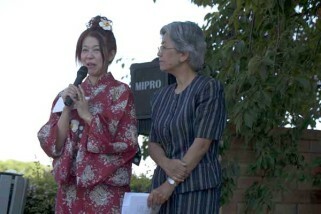 Reiko (Ruruka) Minami (L) and Dr Keiko Tamura at the unveiling of the Civilian Internment Interpretive Board at the entrance of the Japanese War Cemetery, Cowra. 9 March 2014. Photo by Mayu Kanamori. Cr. 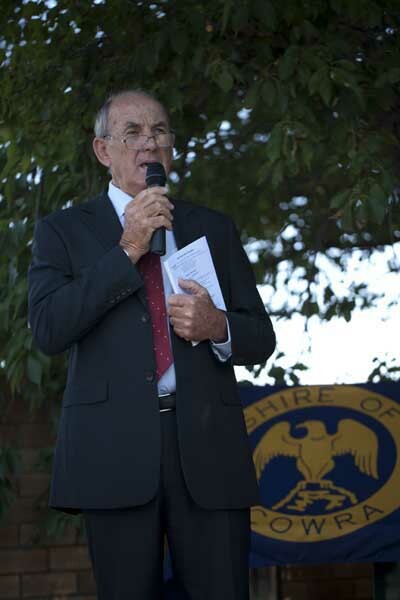 Bill West, Mayor of Cowra at the unveiling of the Civilian Internment Interpretive Board at the entrance of the Japanese War Cemetery, Cowra. 9 March 2014. Photo by Mayu Kanamori. 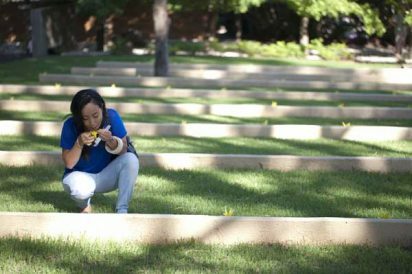 Former civilian internee Evelyn Suzuki and Cr. 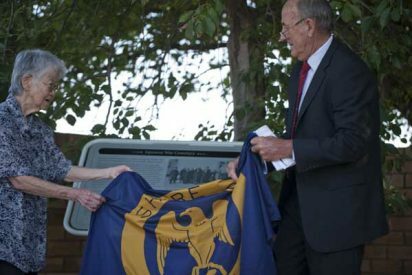 Bill West, Mayor of Cowra unveil the Civilian Internment Interpretive Board at the entrance of the Japanese War Cemetery, Cowra. 9 March 2014. Photo by Mayu Kanamori. 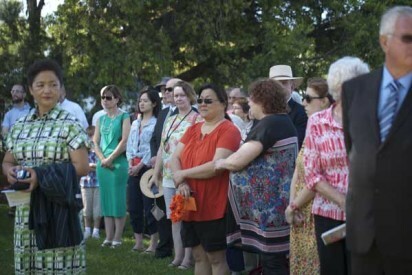 People gathered for the commemoration ceremonies for civilian internees. 9 March 2014. Photo by Mayu Kanamori. 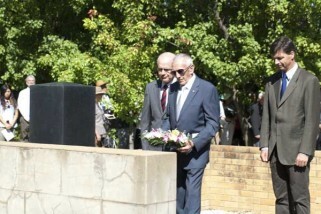 Gordon Rolls and Robin Guihot at Commemoration Ceremonies. 9 March 2014. Photo by Mayu Kanamori. L to R: Christopher Woodthorpe, Director United Nations Information Centre, Angus Taylor, Federal Member for Hume, Cr. 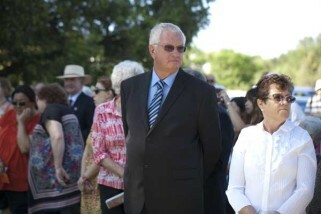 Bill West, Mayor of Cowra and Don Kibbler, Chairperson, Japanese Gardens, Cowra at Commemoration Ceremonies. 9 March 2014. Photo by Mayu Kanamori. 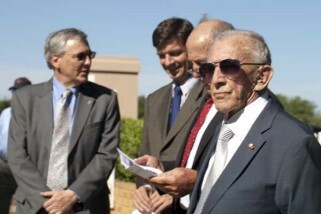 L to R – Bob Dooley, President Cowra RSL sub-Branch, Japanese Ambassador to Australia, Yoshitaka Akimoto and Cr. 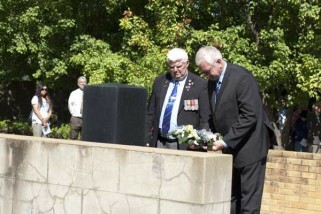 Bill West, Mayor of Cowra laying a wreath at the Australian War Cemetery. 9 March 2014. Photo by Mayu Kanamori. 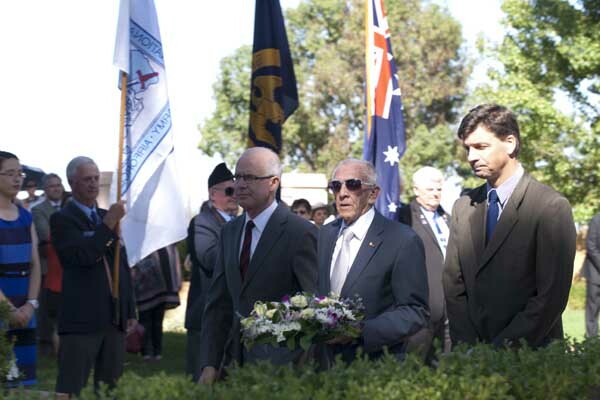 L to R – Brigadier Christopher Appleton, Don Kibbler, Chairperson, Cowra Japanese Gardens and Angus Taylor, Federal Member for Hume laying a wreath at Australian War Cemetery. 9 March 2014. Photo by Mayu Kanamori. 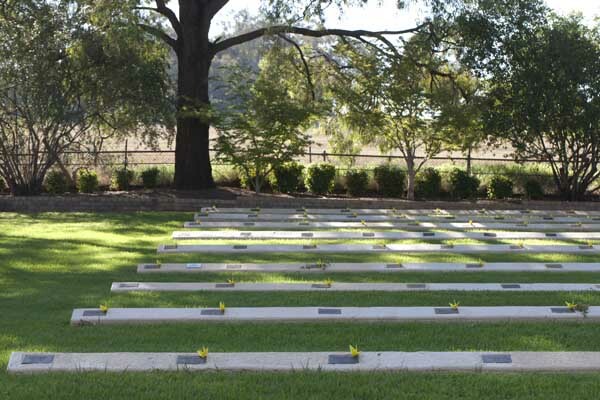 Members of the National Servicemen’s Association – South-West Slopes Branch at Australian War Cemetery Cowra. 9 March 2014. Photo by Mayu Kanamori. L to R – Mrs Akimoto with Ambassador Yoshitaka Akimoto, Ambassador of Japan to Australia and Cr. 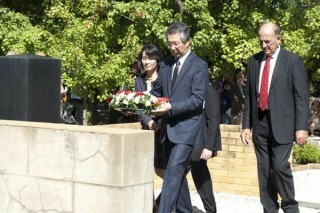 Bill West, Mayor of Cowra laying a wreath at Japanese War Cemetery. 9 March 2014. Photo by Mayu Kanamori. 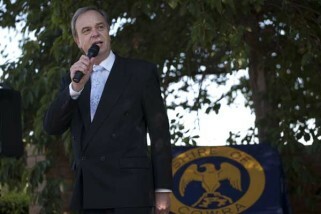 L to R – Brigadier Christopher Appleton. 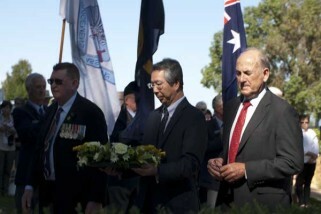 Director, Office of Commonwealth War Graves, Don Kibbler , Chairperson, Cowra Japanese Gardens, and Angus Taylor, Federal Member for Hume laying a wreath at Japanese War Cemetery. 9 March 2014. Photo by Mayu Kanamori. 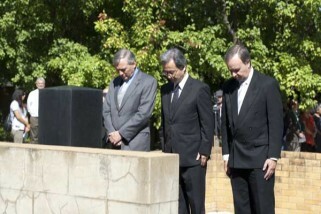 L to R – Christopher Woodthorpe – Director United Nations Information Centre, Mr. Toshiaki Kobayashi, Deputy Consul General, Japanese Consulate Sydney and Lawrance Ryan , Chair, Cowra breakout 70th Anniversary Committee laying a wreath at Japanese War Cemetery. 9 March 2014. Photo by Mayu Kanamori. L to R Kerry Dam. 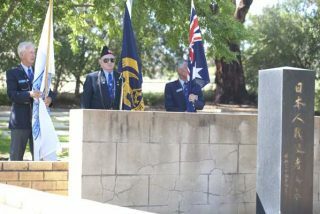 President – National Servicemen’s Association South-West Slopes Branch and Gordon Rolls, President Cowra Breakout Association, laying a wreath at Japanese War Cemetery. 9 March 2014. Photo by Mayu Kanamori.